An extremely advanced diagramming software is coming soon. It will comes with a series of new features that we have been waiting for a long time such as support of Cloud and Mac system. Check out more advanced functions for diagramming and drawing below. Edraw Max 8.0 will be published soon. It is a desktop diagramming pack that is cloud-based and cross-platform. 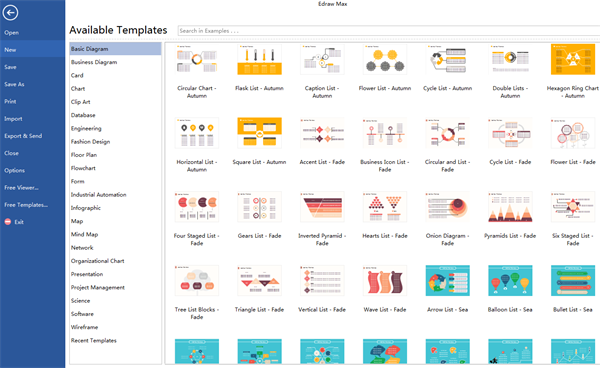 Based on the previous 7 versions, it will bring more wonder to users and made diagramming extremely effortlessly. The new features will surely wow you. Have a look now. As a toolset upgraded from the previous 7 versions, Edraw Max is intended for creating more sophisticated diagrams for more users. Here are the new rich features. Upload diagrams to Cloud so that you can access and share your work anytime anywhere. Run on Mac for better integration between different systems. The organization chart support to change all shapes at once through field and display options. Readers can comment on the document. The Note function also support to insert Picture. Improved features for text formatting. Preset connector styles that allow users to change all connectors at 1 click. Preview of multiple pages below the drawing page. You can have a look at the newly added shapes and examples of Edraw Max 8.0 by clicking the following links. Flexible Lasso Select Tool for easier selection. Layers function supports to design your diagram as multi-layer for better presentation. Boolean operation of shapes for complicated and sophisticated drawing. Discover why Edraw is an awesome diagram tool: Download it Now.